← Blogoholism: The Stress of Blogging? 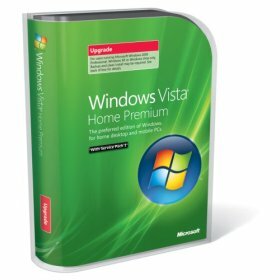 People mulling the idea of buying a computer often ask, "Should I get Windows XP or Vista on it?" That question is about to become moot. As of June 30th, 2008, computer makers will no longer be able to sell machines with XP installed. But people still clinging to Windows XP on existing systems needn't worry. Kevin Kutz, the director of Microsoft's Windows client group assured me that free support for consumers will continue to June 2009. So patches and fixes will be available. Furthermore, Microsoft will continue to make freely available security updates available for years after that, plus offer paid support, mostly aimed at businesses, through 2014. Kutz also reminded me that small business folks who purchase machines with Vista Business or higher now have the option to downgrade to Windows XP–even after the June 30th deadline. The reason for this is to allow folks who discover that their company has, say, a custom-built application that doesn't work with Vista time to make changes. So in other words, you could buy 20 Vista machines from HP, then discover that they don't work with a critical application in the office, and simply call HP to get Windows XP free-of-charge for the machines. Kutz also underlined the fact that businesses that go that route can move back up to Vista later, free of charge. Microsoft CEO Steve Ballmer's recent comment that Vista was a "work in progress" set loose rumors that Microsoft would essentially skip Vista and just move on to the next big operating system upgrade. But the next version of Windows, code named Windows 7, isn't due until 2010 "ish" says Kutz. By then, holding onto Windows XP may feel like you're working on a DOS computer. If you want more on the status of Windows XP, watch my segment tonight, April 23, on CBS News Up to the Minute. This entry was posted in Uncategorized and tagged quain, steve ballmer, upgrade, vista, windows 7, windows xp. Bookmark the permalink.